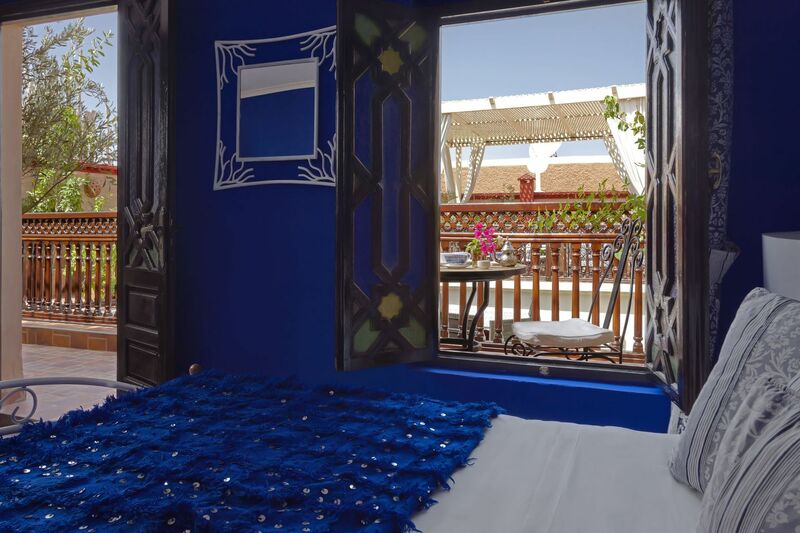 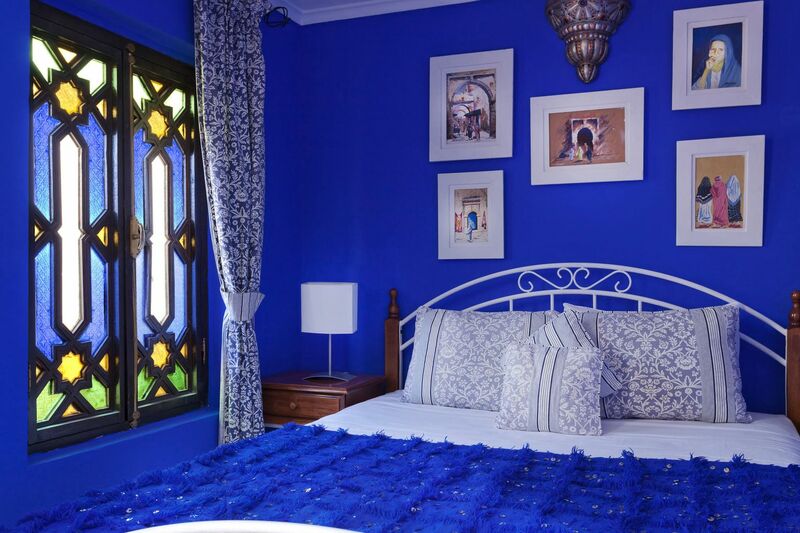 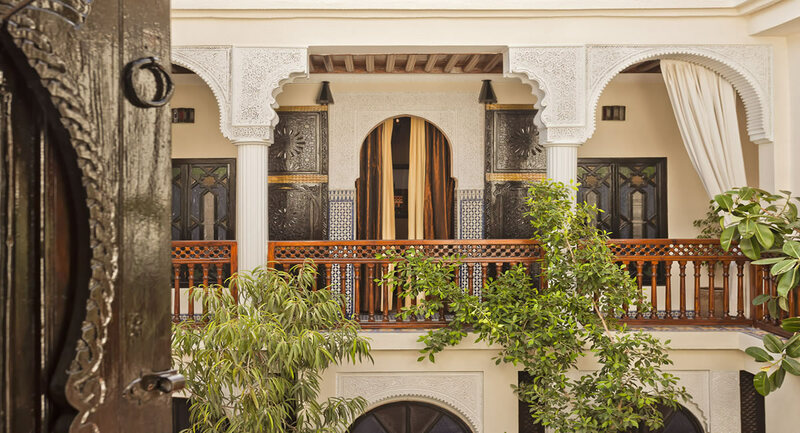 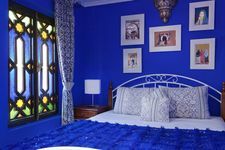 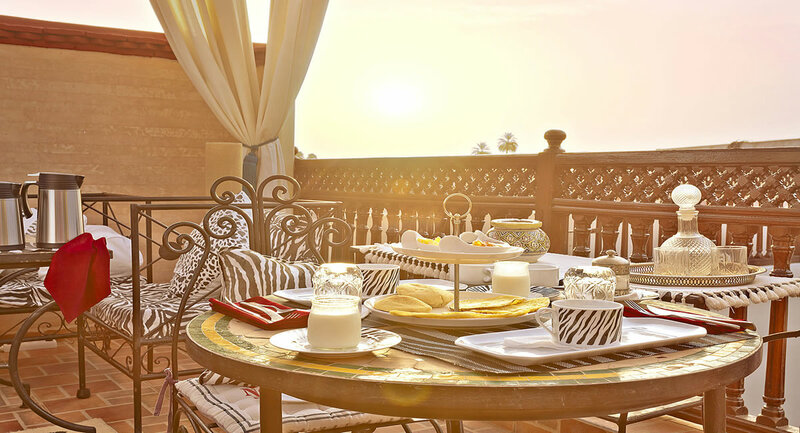 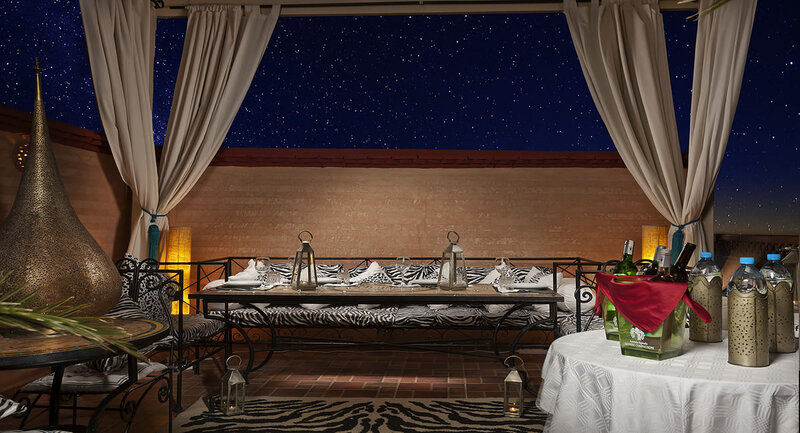 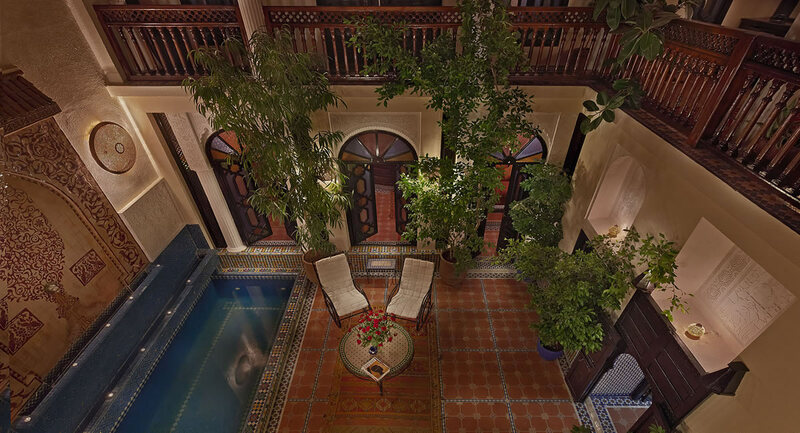 Riad58Blu - A relaxing oasis in the heart of the lively medina. 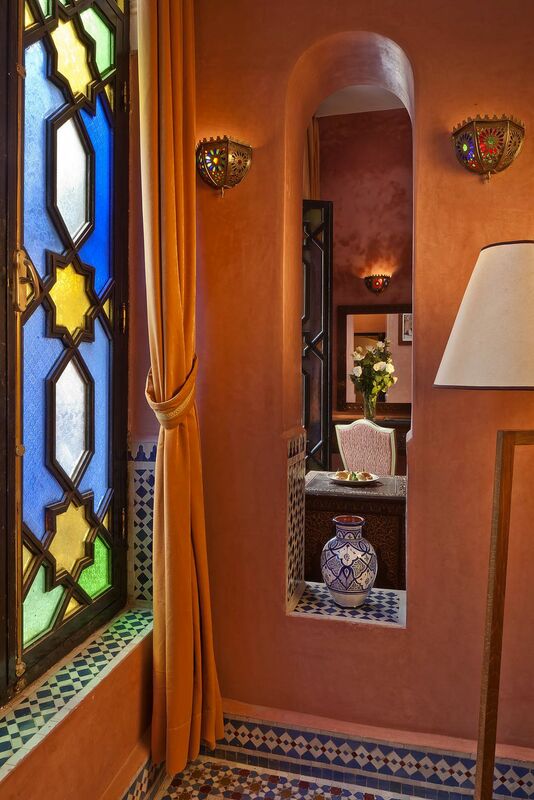 and by the warm welcome of Paolo and Cinzia. 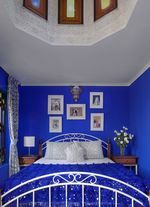 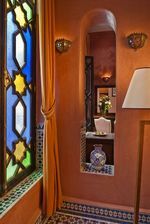 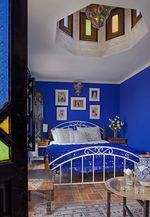 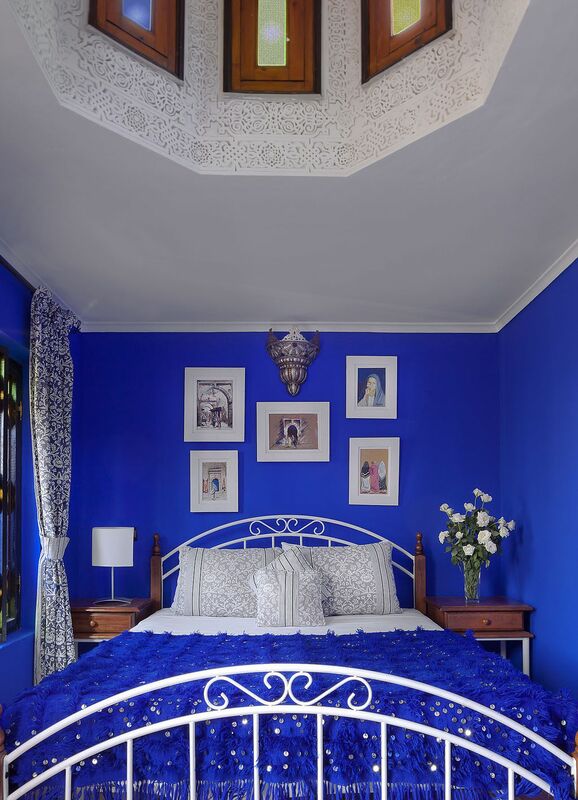 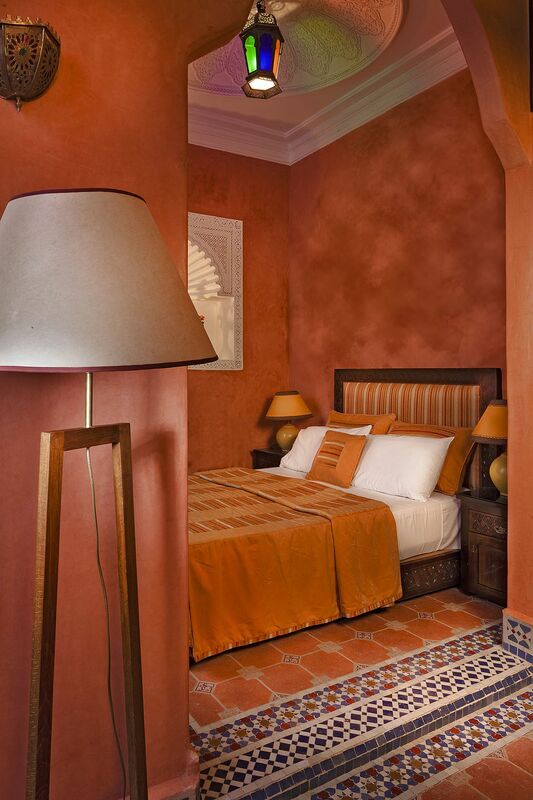 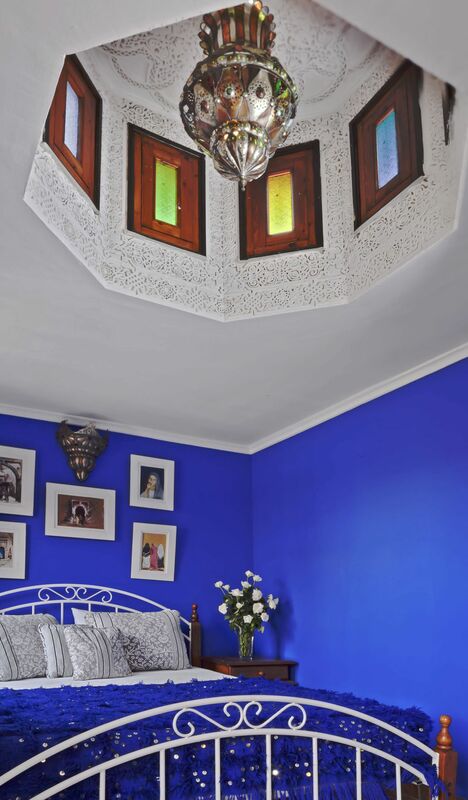 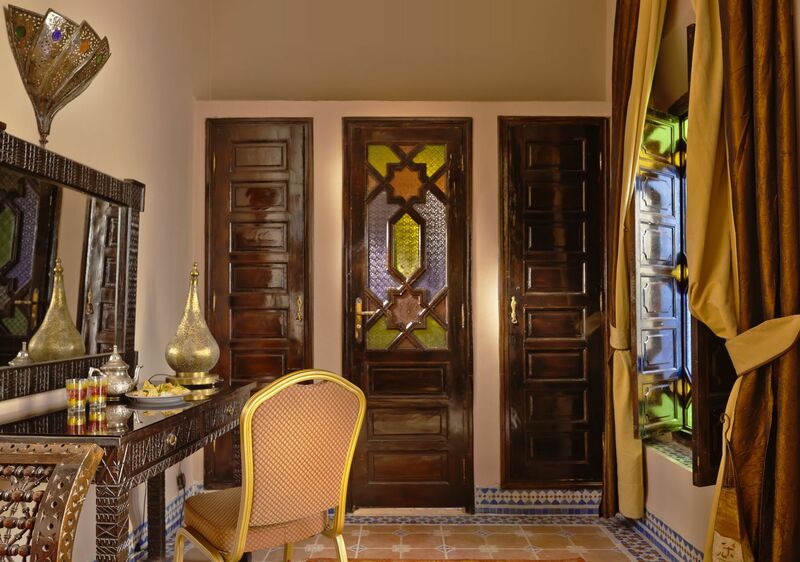 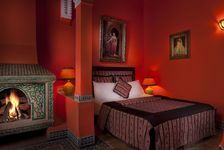 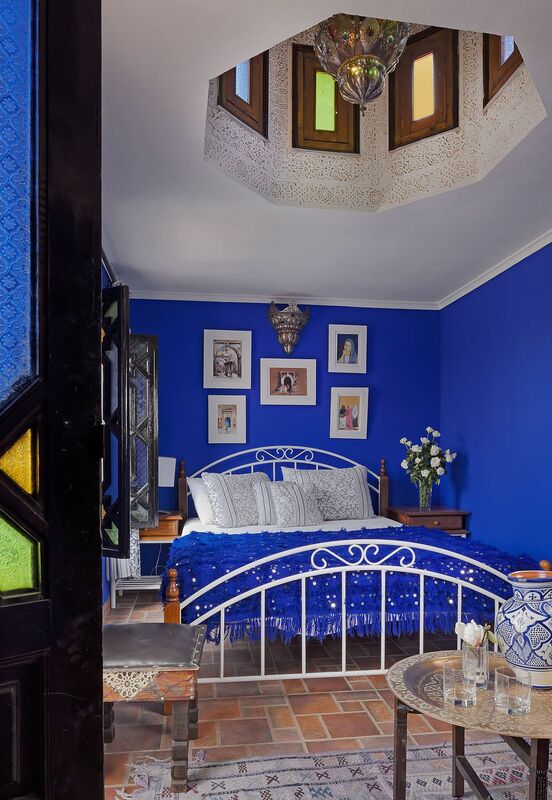 Enter Riad 58 Blu and discover this little treasure, this relaxing oasis in the heart of the lively medina, just a few steps away from the excitement of the famous Jemaa el Fna square , Let yourself be captivated by the magic of its Moorish style and by the warm welcome of Paolo and Cinzia. 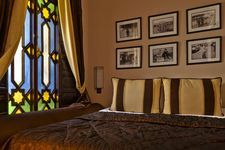 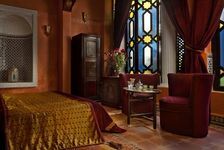 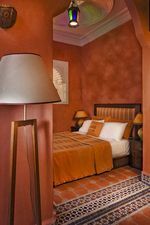 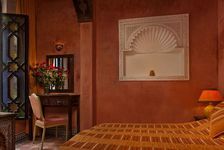 Paolo Lombatti, its Italian owner who, after ten in Morocco, will suggest you how to take advantage of your stay in Marrakech and how to discover its surroundings. 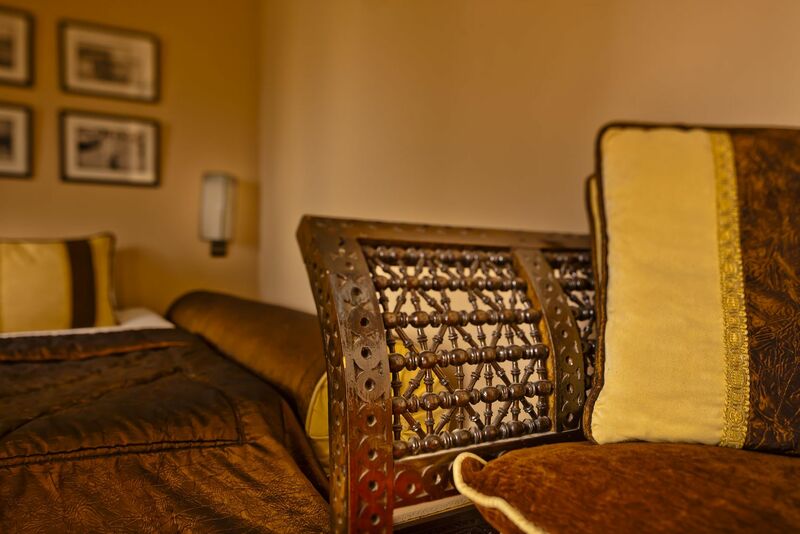 Can you forgo the relaxing pleasure of massage, this ancient oriental rite. 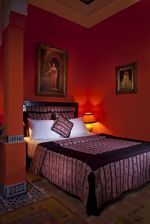 Ask the staff, and you will enjoy of it in the peace of your room. 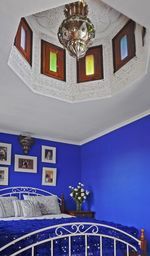 Riad 58 Blu offers bed and breakfast. 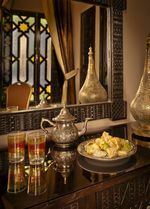 However, the staff always present , will be pleased to prepare snacks or, on request, delicious typical meals, whenever you feel like it. 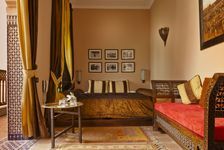 The stuff, speaking English French and Italian, will be pleased to help you in the organisation of journeys and tours in the surroundings. . 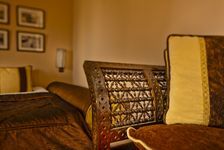 Enjoy a moment of well-being to relax. 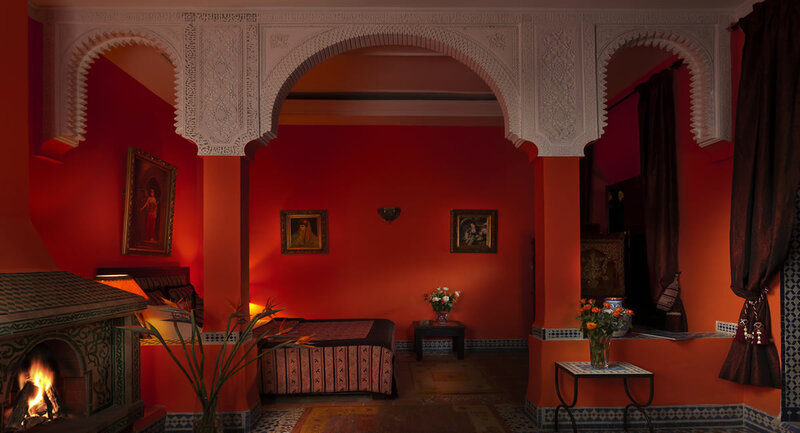 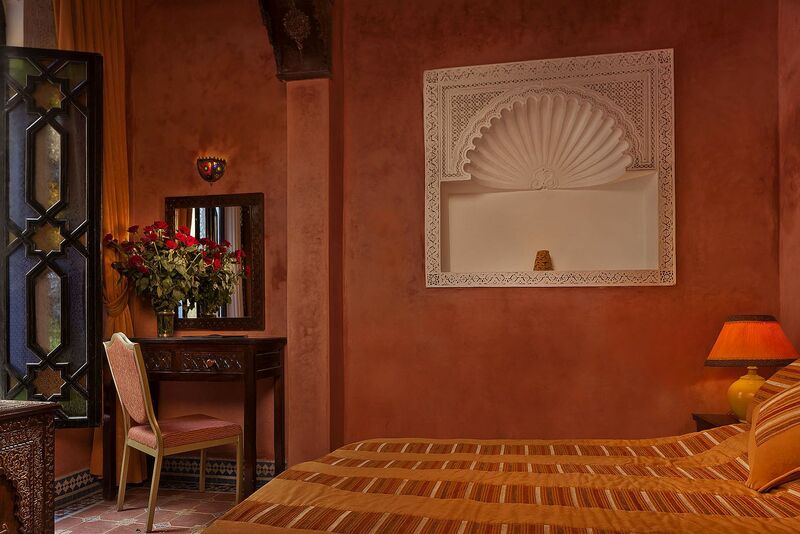 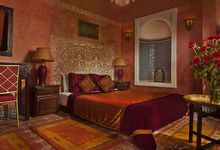 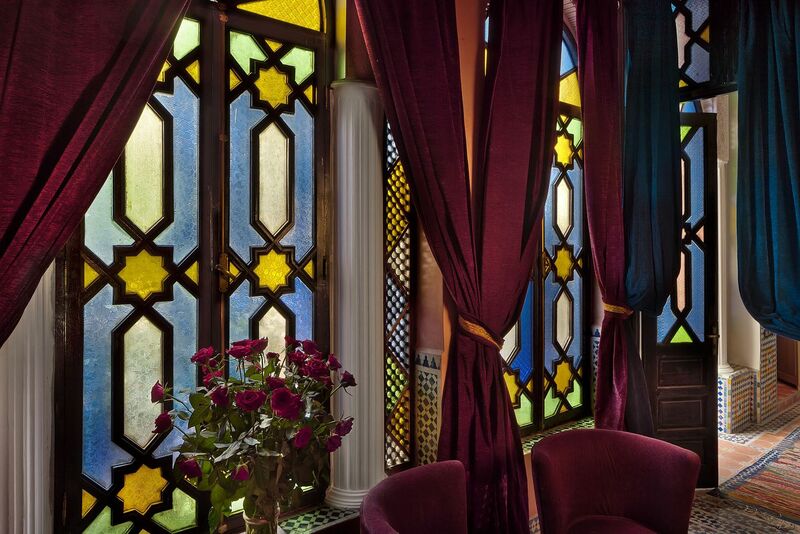 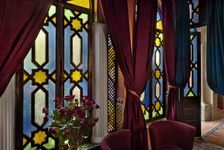 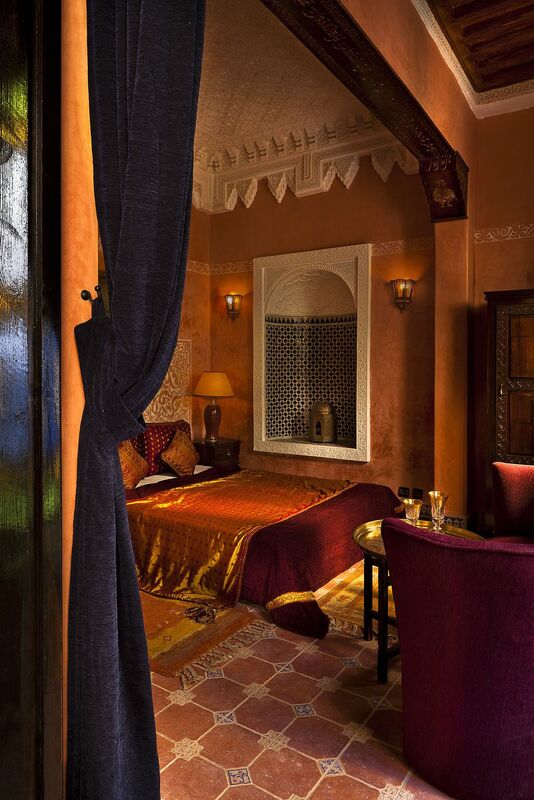 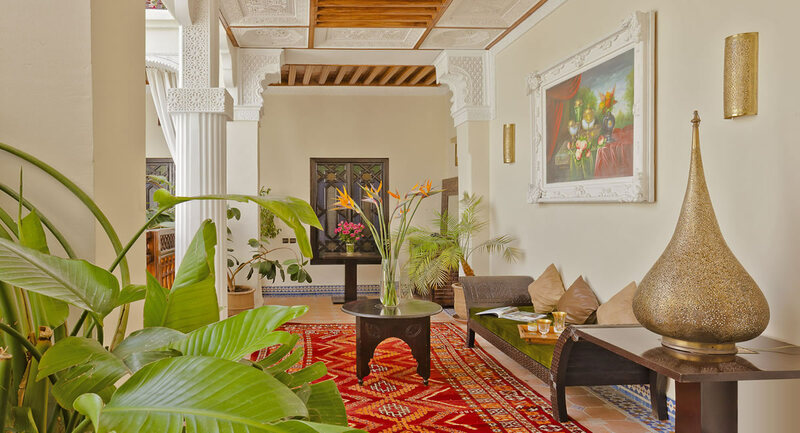 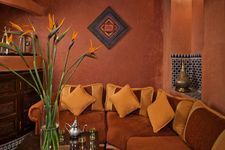 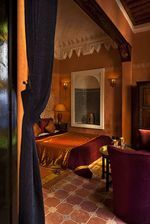 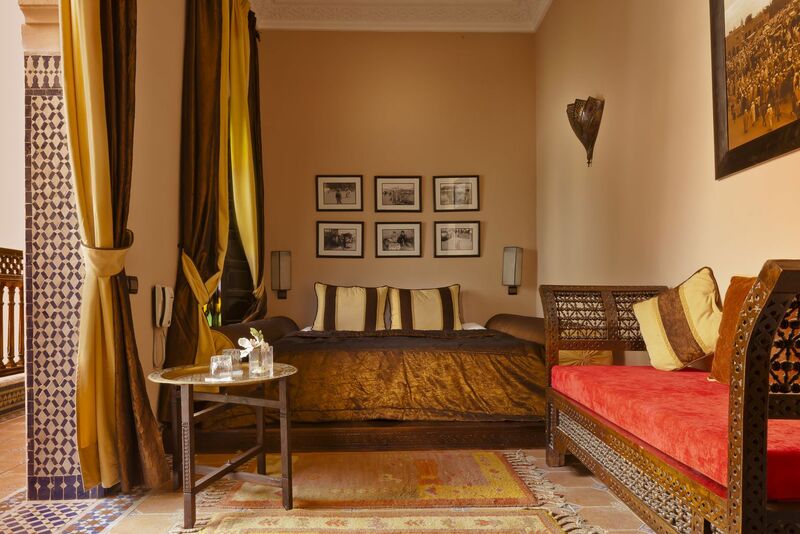 At Riad 58 Blu our only concern is to offer you moments of well-being and relaxation. 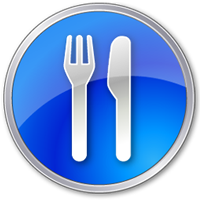 Eating is one of the greatest pleasures of life. 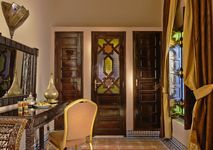 Welcome and hospitality worthy of the country are reserved. 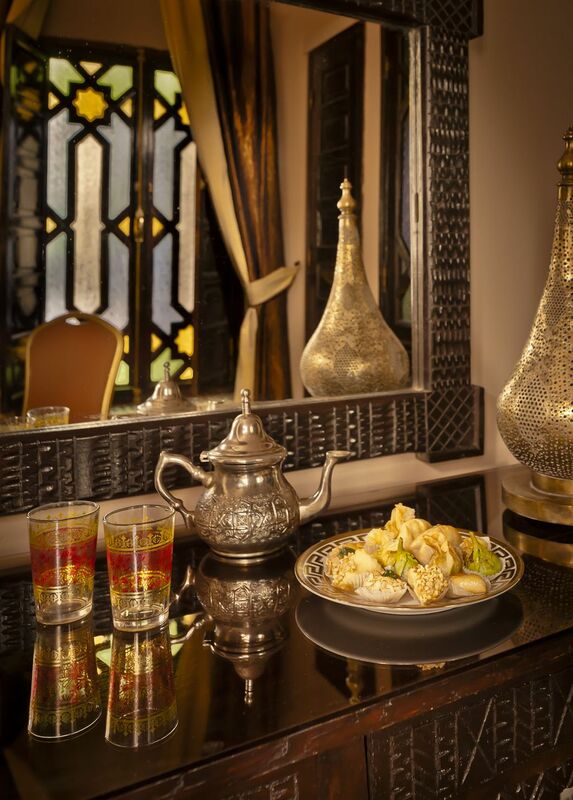 Riad 58 Blu invites you to discover the many flavors of traditional Moroccan food in all its variety. 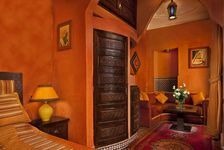 Discover the surroundings of the Red City, hike to the Ourika valley, Oukaimeden, Essaouira and Agadir. 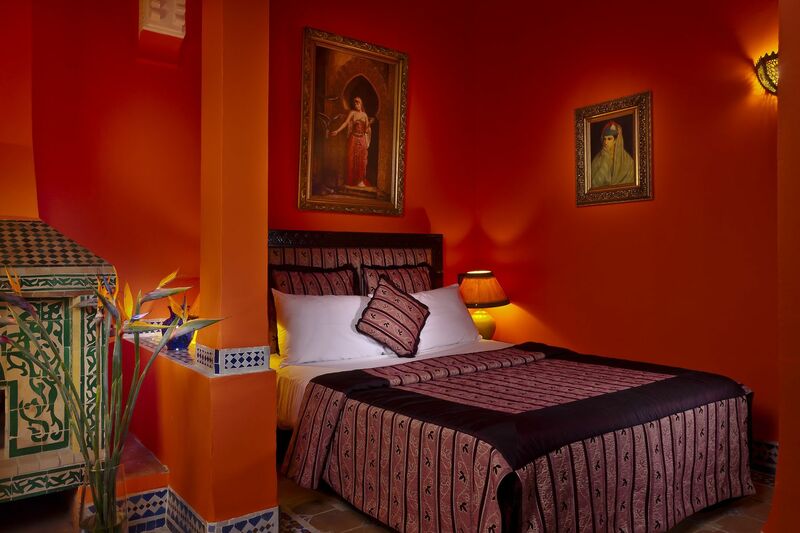 We organize your stay unforgettable days. 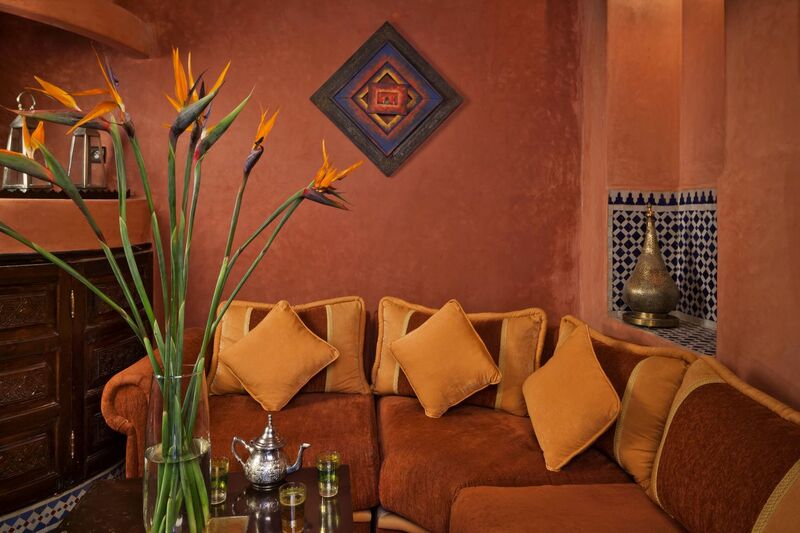 Send us your reservation to this address. 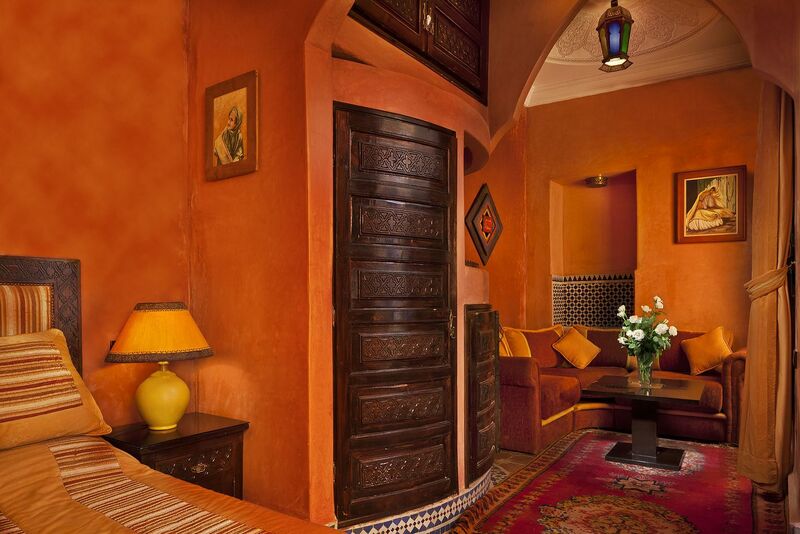 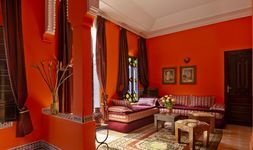 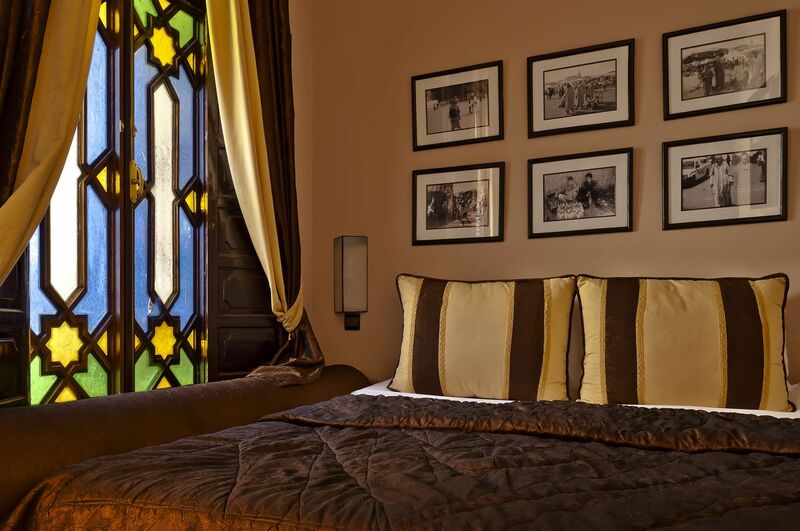 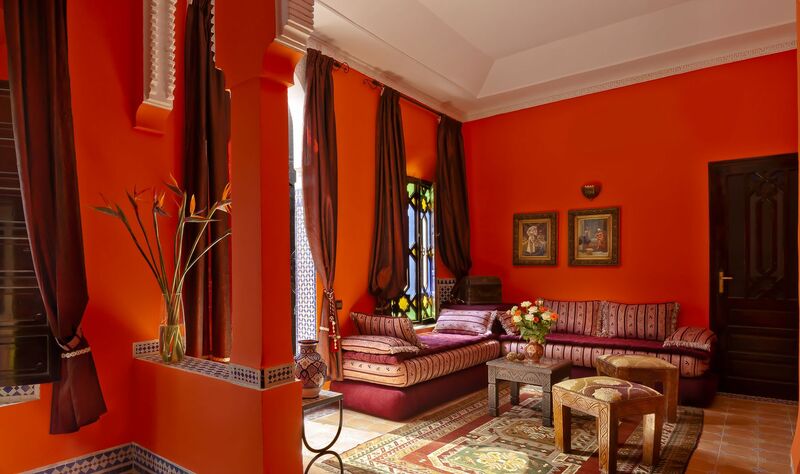 Is always happy to welcome you in its sumptuous riad.